The girl huddled on the concrete bench in the corner of the cell, her knees tucked to her chin. She appraised Griff with green eyes, then looked away. Her stretch leggings were a size too small and her top plunged to dangerous levels. Bright red nails and false lashes added finishing touches. The spike heels that completed the ensemble sat outside the cell door. Griff sat next to her. “I’m Detective Griffin.”She turned her face away and remained silent. She swallowed and blinked twice. Keys rattled in the lock and the door opened. An expensive suit filled the doorway in front of the duty officer. Carrie got to her feet and squeezed out of the cell. “I hope you weren’t interviewing my client without her attorney present,” the suit said. Griff stood eye to eye with the lawyer. “Of course not. I check on all the girls to make sure they don’t need medical assistance. She fully exercised her right to remain silent, and seems perfectly healthy.” She snapped the file closed and shouldered past him. “Well?” Stacey asked when Griff returned to her desk. “It wasn’t a joke,” she said on her way out the door. The bruises on Carrie’s neck and arms weren’t from an affectionate boyfriend. She needed help and, apparently, Griff was the only one willing to try. The traffic blurred as the sun sank into a lava flow of cloud. Streetlights blinked on as she took the long route up the hill. She parked in the shadow of a hedged yard and killed the engine. Through the binoculars, Rosetti’s gate resembled a castle entrance. Fine brickwork and scrolled iron. A guard station squatted on the left side of the cobbled drive. Strategically placed floodlights revealed security pacing the fence. Handguns and batons hung from their belts. Cracks of golden light seeped through drawn drapes on the massive house. And behind those drapes, a varied collection of human product. Whatever their clients could afford, they could have. Rosetti made sure of it. Straight up prostitution. Easy peasy. Kids? No problem. If the product gave him trouble, snuff. Have fun with it. Knock yourself out. Pay before play. That money trickled through the filter of a hundred businesses, dripping out squeaky clean at the bottom. His web of connections kept him untouchable. Griff planned to touch him. 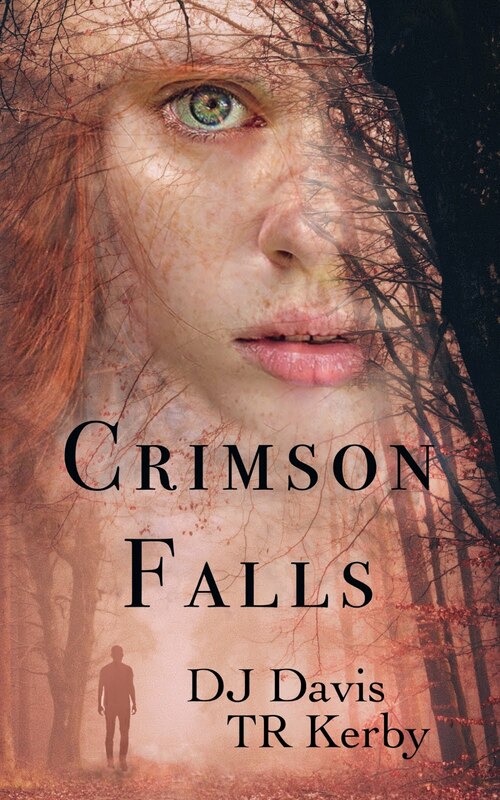 Crimson Falls was coauthored by two cousins. DJ Davis is a Colorado native with mountains in her DNA. She is obsessed with the forests, lakes, and craggy peaks. The rugged high country and rich history of the state set the scene for her stories and provide drama, suspense, and natural beauty. When she's not writing or photographing the wildlife, she frequently disappears into the wilderness with her husband and dogs. TR Kerby has led a life of high adventure and travel to exotic places…ok, not so much, but she has worn a lot of hats. She has been a fry cook, a trail guide, a horse trainer, and a veterinary technician as well as less other interesting things. Her weaknesses include chocolate and rescuing lost souls, mostly animals, but some sometimes people. She currently lives in the Rocky Mountains with some of her rescues including her husband, two dogs, and a herd of horses. She brings her varied life experience to the table in her books and short stories. DJ Davis and TR Kerby will be awarding a $25 Amazon or Barnes and Noble GC to a randomly drawn winner via rafflecopter during the tour. There were many things I enjoyed about this book. The pacing is excellent: it kept me turning the pages, wanting to know not just what happens next but what happened in the past to these characters. While it wasn’t a who-done-it and there were no surprises or red-herrings or crazy twists (though, based on the tone of the story, I kept waiting for one), it was a suspenseful plot. And I love suspense. I also enjoy a complex and involved story like this one was. I’m not generally a big fan of insta-love and the romance felt a lot like that to me [two casual meetings and one date = a love worth dying for?] but because the romance felt secondary to the overall story I’m not holding it against the book. I often found myself a little confused as to who was speaking when there were more than two characters conversing. And I found the jumps in point-of-view irritating at times. But none of that was invasive enough to detract from my over-all enjoyment of the story, either. Despite the adult themes, the violence against women (and children) is never graphically described. Thank GOD because the suggestion itself was horrifying enough. This was so well done it was a day or two before I realized even the romantic love scenes were done “off-screen.” Kudos to both authors for that. This was an entertaining read – one I’d recommend to others who enjoy suspense. 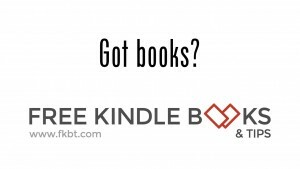 *This was a review copy provided in PDF format that I then converted to MOBI so I could read it on my Kindle. There were some formatting problems, distracting ones; in fact, it was my greatest complaint. But I do believe it’s likely those formatting issues were due to the conversion I put the book through and hesitate to mention it. However, if, in fact, the retail version contains those formatting errors, I thought I should at least note that here. Hello! Thanks so much for sharing your book with us. Always fun reading about another book to enjoy. I really enjoyed it - thank you! Thanks for hosting us on our book tour! No, the characters are completely from our own imaginations and were not influenced by any other person, either fictional or real. Our over active imaginations do just fine on their own! Wow. I wonder if the authors freaked themselves out...somehow relating and/or fearing it happening in their lives. The book cover is truly gorgeous and the synopsis and excerpt intriguing. I've read the review and just want to say that I write in multiple viewpoint and prefer reading stories written that way. This sounds like a must read to me.